Since the birth of our nation, virtually every stretch of Maine’s coastline has offered protection to passing ships. Lighthouse keepers would keep the light on for the safety of these ships at their own peril (and sometimes that of their family). Fortunately, the days of the manned lighthouse are all but gone, but the protective beacons continue to shine on through automation, alerting commercial and pleasure boaters of the danger that lies in wait should they come too close. Today, these distinctive, sometimes even cheery buildings hold a special place in the heart of those who come to The Maine Beaches. One, in particular, Cape Neddick’s Nubble Light, is considered to be the most widely photographed lighthouse in the world, being hash-tagged in various ways—all including “nubble”—more than 35,000 times in a recent Instagram search. 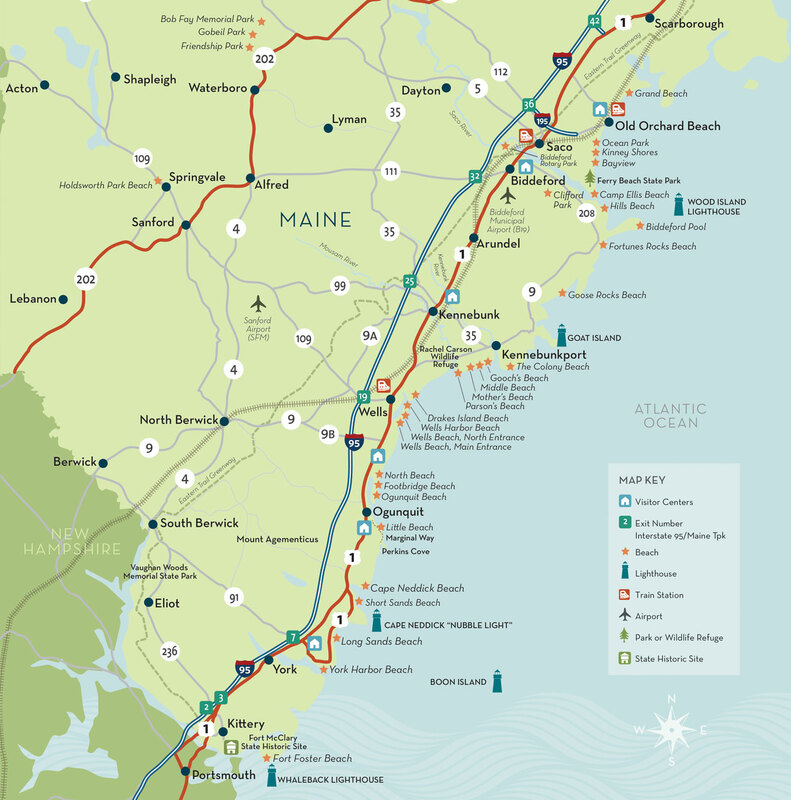 Each and every Maine Beaches lighthouse is visible from land (weather permitting). Boon Island is a stretch, but you can see it from the crest of Mount Agamenticus. We invite you to find ways to get up close, perhaps by boat or sea-kayak, or take an even closer look on Maine Open Lighthouse Day. Celebrated statewide every year on the second Saturday of September, this special day offers visitors to our coast the opportunity to explore more and learn about the important role the lighthouses have played throughout our state’s history. Several Maine Beaches area lighthouses will be available for a visit, including Goat Island Lighthouse and Wood Island Lighthouse. Want to expand your lighthouse tour? There are several lighthouses in neighboring Portland, including the stately Portland Head Light in Cape Elizabeth, Spring Point Ledge Light, which sits at the end of a rocky breakwater, and tiny Bug Light, located at the northern terminus of the 65-mile long Eastern Trail (which starts in Kittery).